Chess Park greeting cards are now available! Each card is 5 1/2″ x 4 1/4″ with a winter scene of Chess Park in Monongahela Pennsylvania on the front. The reverse includes a short history of Chess Park and the two churches in the background. 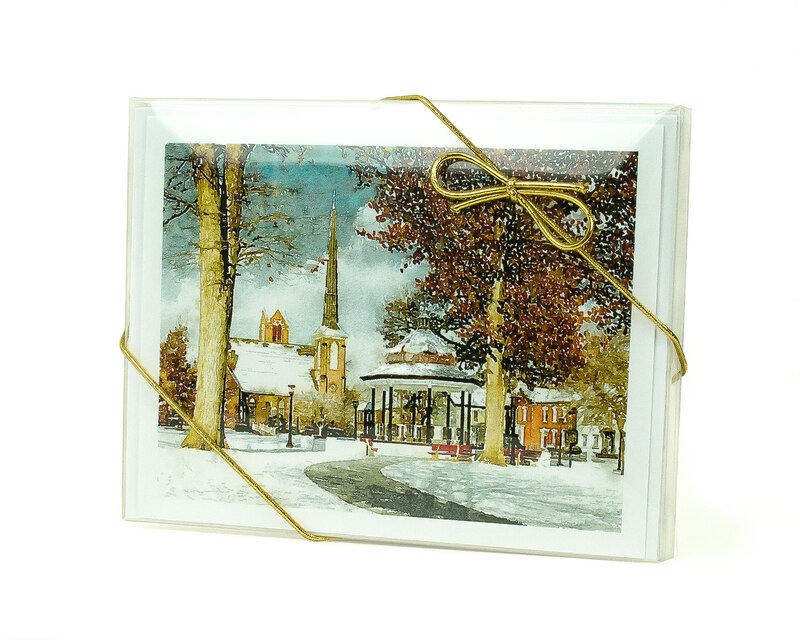 The interior of the card is blank so it can serve year round as a thank you card, a sympathy card, a Christmas card or a general note card that you can use to show your pride in our home town. Autumn Antiquities And Curiosities – 234 West Main Street, Monongahela PA. Open Wednesdays, Thursdays and Fridays 11:00 a.m to 4:00 p.m and Saturdays 11:00 a.m. to 3:00 p.m. Phone 724-292-8222. Both cash and credit cards accepted. Little City Coffee – 418 West Main Street, Monongahela PA. Phone 724-258-6285. Open Monday through Thursday 8:00 a.m. to 7:00 p.m., Friday 9:00 a.m. to 9:00 p.m., Saturday 9:00 a.m. to 5:00 p.m., Closed Sunday. Both cash and credit cards accepted. Chess Park cards are now available at Joe Fida’s Auto Plate service! We can also ship the cards to you via mail. Shipping cost is a flat $3.50 no matter how many cards you order. For more information about having your order shipped just send an email to Dan at lostmonongahela@gmail.com with your name, address and phone number and the number of boxes you want. All proceeds go to the Monongahela Main Street Program which is being formed to revitalize main street Monongahela through historic preservation. The next meeting of the Monongahela Main Street Program Organizing Task Force will be an open “town meeting” at Monongahela Fire Hall at 7:30PM, Tuesday October 20th, 2015. Bill Fontana, Executive Director of the Pennsylvania Downtown Center, will make a presentation to explain how the Downtown Center and Main Street Program work in Pennsylvania. We are hoping for good representation of groups like the City government, property owners, businesses, Chamber of Commerce members, M.A.R.C. (Monongahela Area Revitalization Corporation), Historical Society, churches, fire department members, all kinds of civic groups, other interested citizens, media, etc. Click here to read the latest edition of the task force newsletter and learn more about recent events. 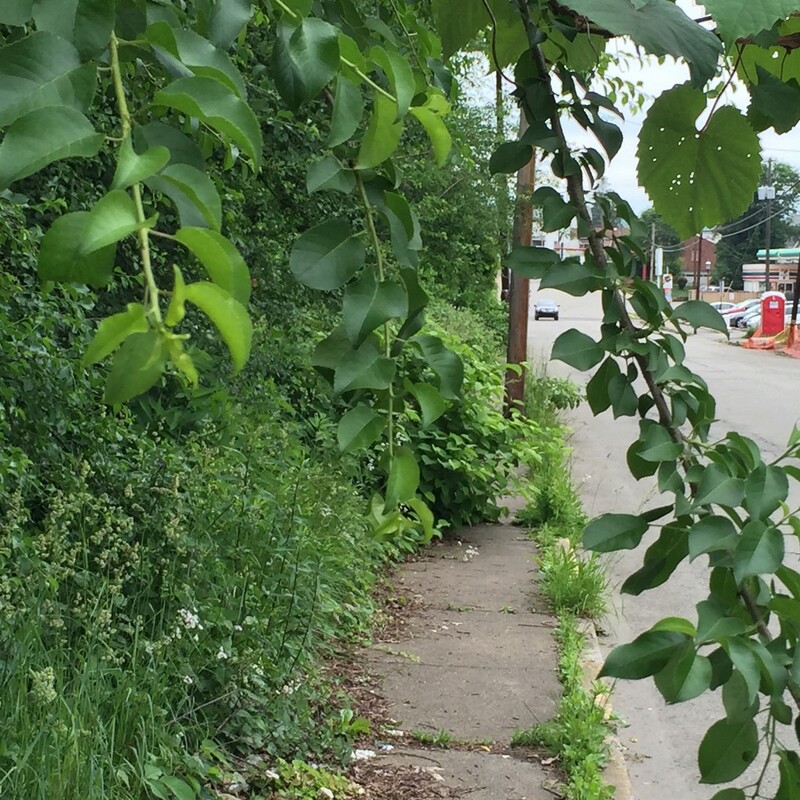 Commissioner Harlan G. Shober Jr.
HARRISBURG – The Senate Urban Affairs and Housing Committee will host a roundtable discussion on blight and neighborhood revitalization in Monongahela on August 11, according to Senator Camera Bartolotta (R-46). The roundtable discussion will be held at 7 p.m. in the Council Chambers of the Carroll Township Municipal Building at 130 Baird Street. Local elected officials, housing and redevelopment officials and statewide housing organizations have been invited to participate. The conversation will focus on state and local efforts to prevent blight and remediate properties that have fallen into a state of disrepair. The roundtable discussion is a public event, and community residents are invited and encouraged to attend. Here is the story relating to this on the WESA 90.5 FM website. 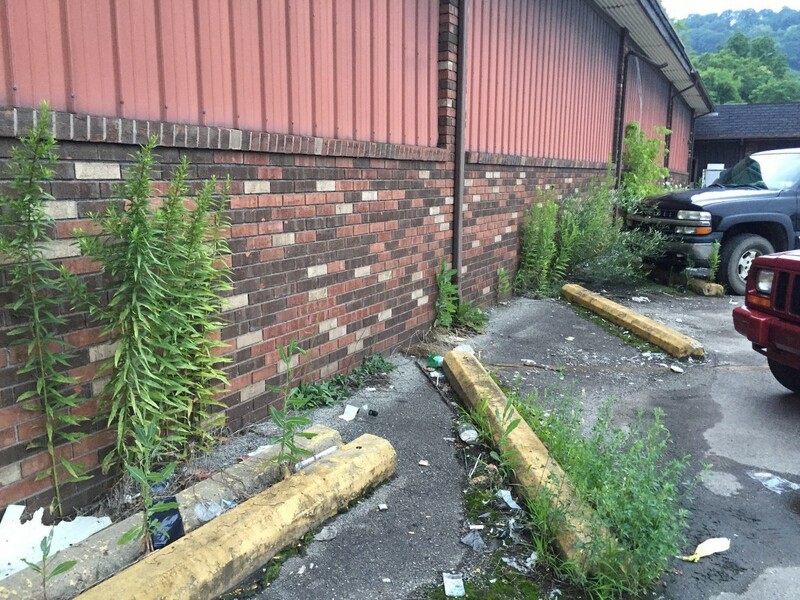 There is no coverage that I could find on the Tribune Review (Valley Independent) nor the Observer Reporter websites so it is very important to tell your friends and neighbors about the meeting if you are concerned about blight in the Mid-Mon Valley. Please also consider spreading the news via Facebook and other social media. Check back here on Wednesday for coverage of this meeting along with an update about local Monongahela residents who are trying start a program designed by the National Main Street Center to help improve the appearance of our downtown and bring economic opportunity. You can read more about it here. Sounds exciting doesn’t it? The Montclair Business Improvement District organization utilized the National Main Street Center’s proven Four-Point Approach to achieve this remarkable turnaround. I’ll be writing more about this for each of the next several days so stay tuned. Click here to learn more about the National Main Street Center. Saturday morning about two o’clock, a sneak thief entered the residence of Mr. Ben Phillips, on Chess Street, through an open back window. He was in the young ladies sleeping room when discovered, and was scared away before getting any booty, by Miss Jennie blowing a meat horn, which she keeps ready for use, in case of any needed alarm daring the night. The ladies of the family are much alone, and this meat horn idea is a capital one. Just think of a burglar tip-toeing about in the watches of silent night, a dark lantern in one hand, and a big pistol in the other, peeping here and there in a lady’s bed room, looking for a pocket-book or jewel case. He sees the glitter of a bracelet, sits down his glim, sticks his sick shooter in his pocket, stoops over a dressing case, his fingers rapidly closing in on the trinkets and engagement rings, when “Toot, TOOT,” a noise as if seven million fog horns had broken loose, greets him, scares him, petrifies him. Fear, fright, terror, dismay, alarm, consternation— and away he goes, as if the Devil and Tom Pepper were after him. Mean while the girls sit up in bed and blow the old tin screech horn till their cheeks bulge out like apple dumplings; yea, even like the priests who blew down the walls of Jerico. A tin horn may not carry as far as a pistol, but it is more effective at short range with a scared girl at one end of it.